The Day The Earth Smiled – Success! The day the Earth smiled happened on July 19th 2013. The above picture is the result. 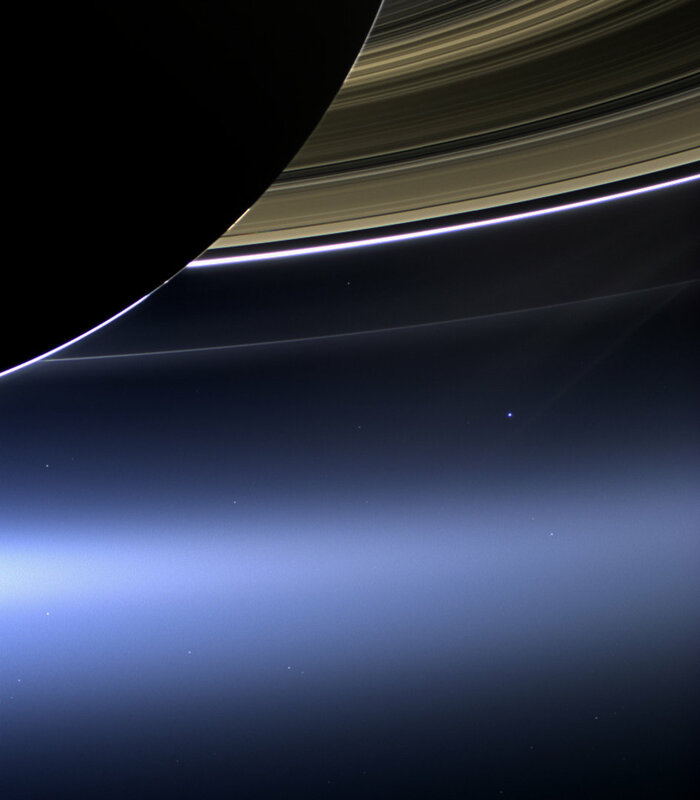 Taken by Cassini, we can see the pale blue dot of Earth and the moon nestled under the famous rings of Saturn. It’s a breathtaking picture, but it wasn’t the only one that was taken of Earth that day. The MESSENGER spacecraft near Mercury also captured Earth and the moon, and that image can be seen over at APOD. An incredible picture of our wonderful planet. Did you remember to smile? Onwards! This entry was posted in Science and tagged APOD, Astronomy Picture of the Day, camera, Cassini, Cassini space probe, Earth, JPL, July 19th 2013, Mercury, MESSENGER, Moon, NASA, Pale Blue Dot, Ring, Saturn, smile, space, The Day The Earth Smiled. Bookmark the permalink. 3 Responses to The Day The Earth Smiled – Success!